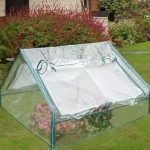 For all of the gardeners in the UK that don’t have the size of garden which will allow them to fit a traditional greenhouse in, or if you should be looking to include an extra dimension to your allotment, then the coldframe will be the gardening product for you. 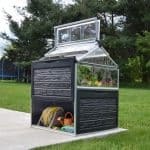 WhatShed understands that for those with limited space it may also be hard to obtain things started on the kitchen windowsill, and that a small greenhouse will be adequate to obtain that initial germination period going. 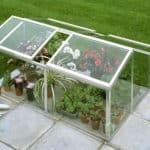 A coldframe gives you the possibility to help keep low-lying plants safe from frosts and can help boost a plant’s growing potential with the aid of the sun in a greenhouse environment. 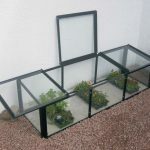 Take a moment to consider the range of cold frames available now. Give your plants a helping hand by providing them with in a tiny greenhouse environment today and watch the fruits of your labour grow. 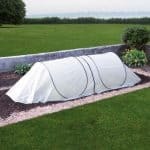 So for the best independent reviews of all Cold Frames in the UK, from cheap cold frames, metal cold frames, and right through to plastic cold frames, you are at the right site. All the Cold Frames for sale from our partner merchants are shipped direct to your door. 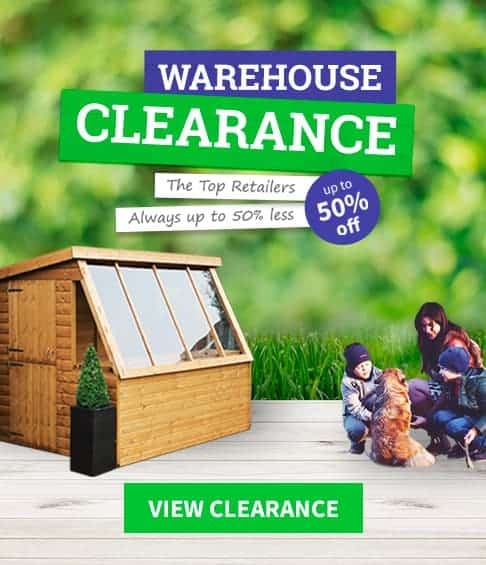 The B&Q 6X2 Toughened Safety Glass Wall Garden Greenhouse is one of the most stylish and modern looking greenhouses you will ever see. It is made in the.. 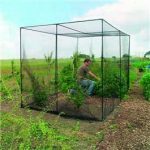 This is devised especially to protect fruit bearing trees or bushes from the birds or other animals that may want to devour them. Made from a tough woven.. 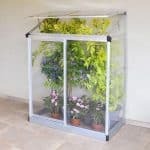 This 5 x 3 compact walk-in greenhouse is a real useful addition to the garden. 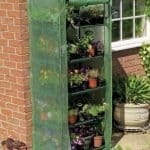 It takes up hardly any space, and can actually add to your planting.. 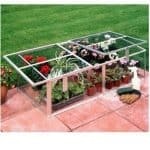 This is a great little cold frame which is suitable for those with limited space or funds, specially designed to protect seedlings, young plants and vegetables from the.. 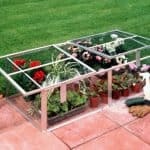 This is an extremely affordable silver aluminium coldframe which is glazed in polycarbonate with useful 2 lids. It is extremely suitable for those with limited space or funds,.. 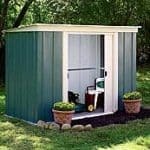 This popular and good size metal shed is large enough for plenty of garden storage such as equipment, furniture and garden toys and has a sliding door which.. 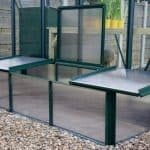 This cold frame allows you to keep on top of your gardening jobs throughout the coldest months. 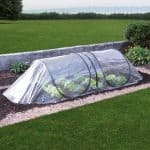 The frame does an excellent job of protecting plants from the.. 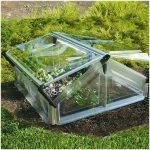 This cold frame is perfect for keeping your plants safe and warm, even in the coldest of conditions. The frame sports green aluminium, and this tough exterior ensures.. 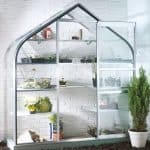 This 4×3 cold frame is spacious and durable, so your plants and other garden pieces can easily survive cold snaps and other troublesome weather, while still being allowed.. 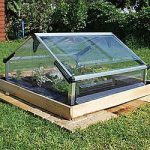 This 4×2 cold frame is ideal for anyone who wants to grow and cultivate vegetables or other sensitive plants. It is available in two glass options, so you.. 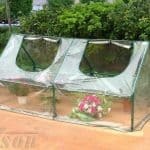 This mini greenhouse is deceptive, in that it offers a lot of protection beneath the PVC cover with a steel frame. This means your plants are looked after.. 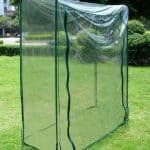 This all round cover brings you a high level of protection for your plants. It is particularly useful against pets, for example, which will find it impossible to.. This guard serves two purposes. 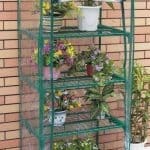 The fact that it is a strong guard in the first place ensures that your plants are protected. Also, the insulation aspect makes.. 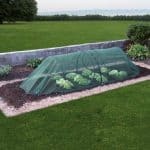 This frost cover is a very useful part of your garden because it provides excellent protection against frost. The cover is translucent, and the entire guard has been.. This large grow house stands at 5’5 and requires absolutely no tools to set up. This ease of use means that you can just get it going quickly.. 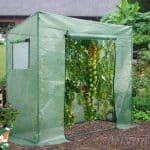 This 6 x 6 heavy duty grow house has been especially created for the use of gardeners who grow and cultivate tomatoes. This means you have a very.. 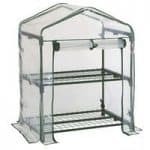 This 4 x 2 grow station has a strong aluminium frame, which is guaranteed to bring robust performance over the years. There is plenty more strength as well.. This 4×4 Silver raised bed has a number of features that make it a useful addition to your garden. For example, polycarbonate glazing is included in the unit,.. 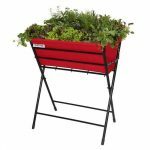 This planter looks very attractive with its bright red colour. Because it is foldable it is perfect for smaller spaces, including patios. While it is compact and therefore.. This special planter comes in a unique lime green colour. Arresting and vibrant, this colour would look great on the patio for example. It holds up to 50.. This wonderfully quirky planter comes in a delightful purple colour. It would definitely not look out of place on the patio, and with some special plants inside it.. This is a bright and attractive planter, and once you have installed it should draw plenty of looks. It holds 50 L of soil, so your options when.. This is a deluxe raised garden bed of 150 mm. You have an item here that is perfect for your more specific garden needs, and therefore an invaluable.. 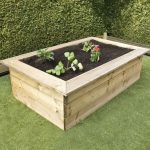 This 300 mm deluxe raised garden bed is a fine addition to any garden, and it allows for easy organisation and management of your seeds and crops. You.. This 450 mm deluxe raised bed brings you the opportunity to create your own little flower garden. Many people use it to grow crops, and this is a.. This is a very deep and incredibly useful raised bed created by Waltons. If the ground in your garden is unsuitable for growing, you can make use of.. 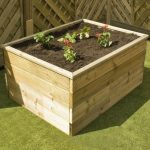 This 450 mm raised flower bed brings a nice level of height to your planting, so you can have plants that are protected all year round. The space.. This is a 600 mm tall pine clad raised flower bed and it looks amazing. The looks of the raised bed are not the only story, and beneath.. 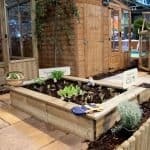 This deluxe raised bed may measure only 150 mm in height, but it has a lot to offer the gardener who needs space that he or she can.. This raised bed stands at just 300 mm above the ground, but is great looking, and brings a pleasing addition to your garden. The shallow aspect means it.. This particular unit has plenty of depth to it, and this means that you have more drainage, and therefore a better quality of planting. This means that you.. This is a 600 mm raised planting bed that allows for maximum depth in your planting. If you are looking at a planting schedule that includes vegetables this.. 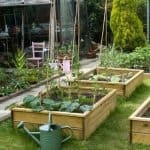 This 150 mm raised garden bed is ideal if you are aiming to plant and cultivate vegetables and plants. The pine edge enables you to bend down easily.. 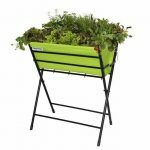 This 300 mm raised bed has a deeper depth and taller height, so you have more of a variety of growing options. You can grow deep-rooted crops or.. This is a high quality raised bed created by Waltons. 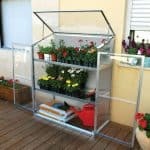 It has plenty of height so you can explore different planting options with it, and there is some.. This 150 mm raised flower bed is a great option if you want to create a vegetable garden or flower bed. It has plenty of good features that.. This 150 mm flower bed is a raised bed and it has quite a shallow bed that allows for plenty of organisation of your planting. If you are..